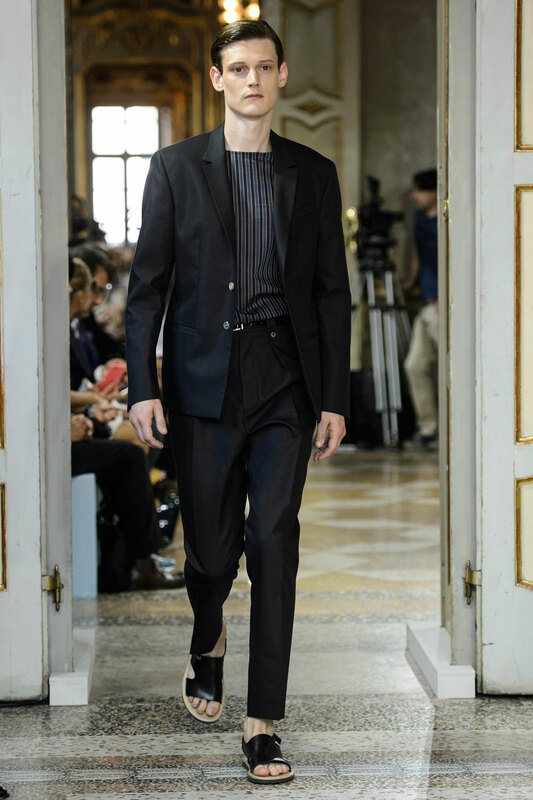 Hauntingly melodic music accompanies each models procession onto the runway , lilting tones of percussion and violin accentuating the collections mature aesthetic. 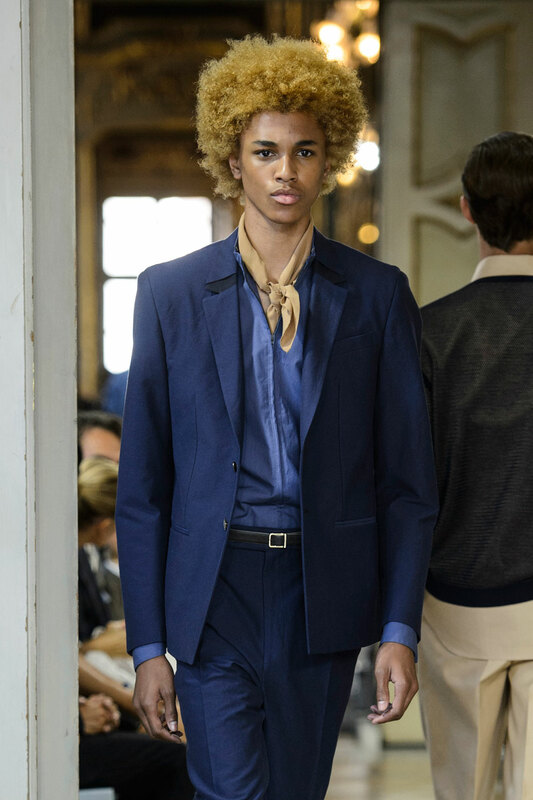 Using colour to create a story , the models begin dressed in somber shades of navy blue and deep red but towards the end of the show an eclectic palate of pastel blue , yellow and rose red battle in the battle for most prominent colour. 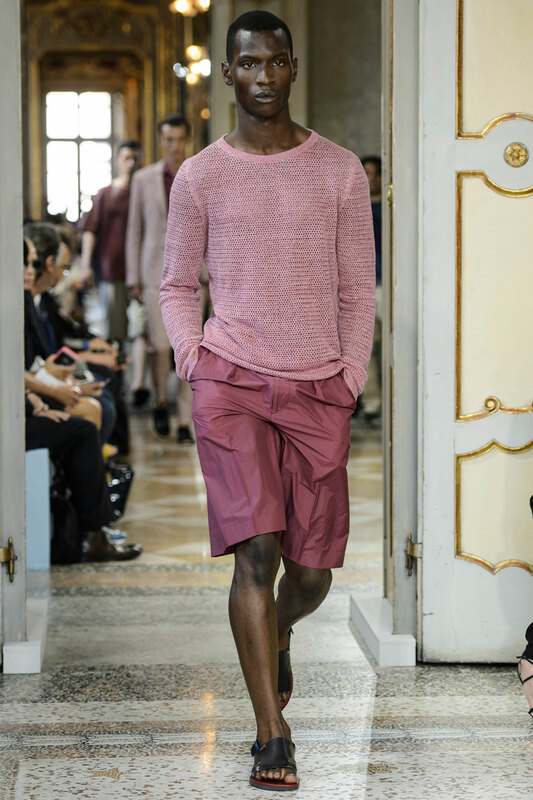 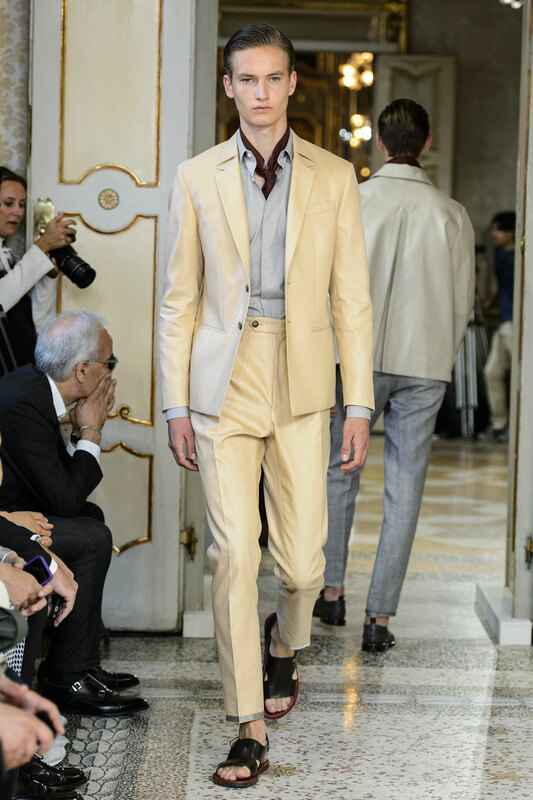 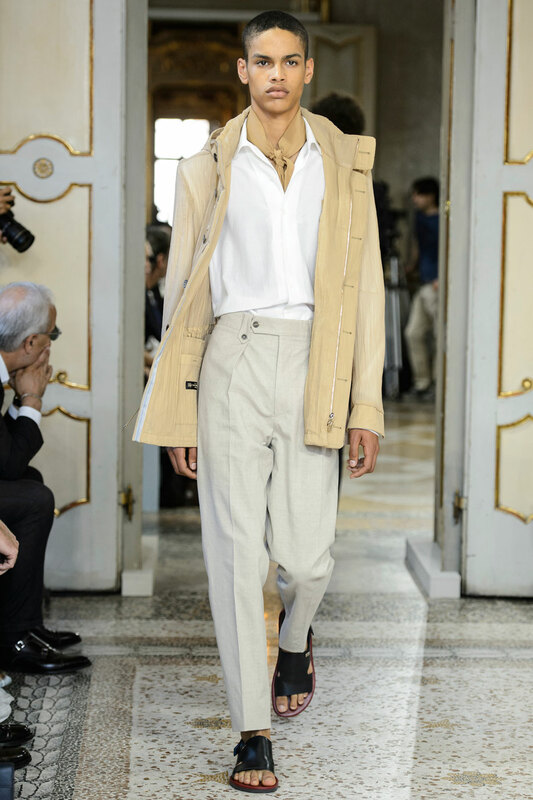 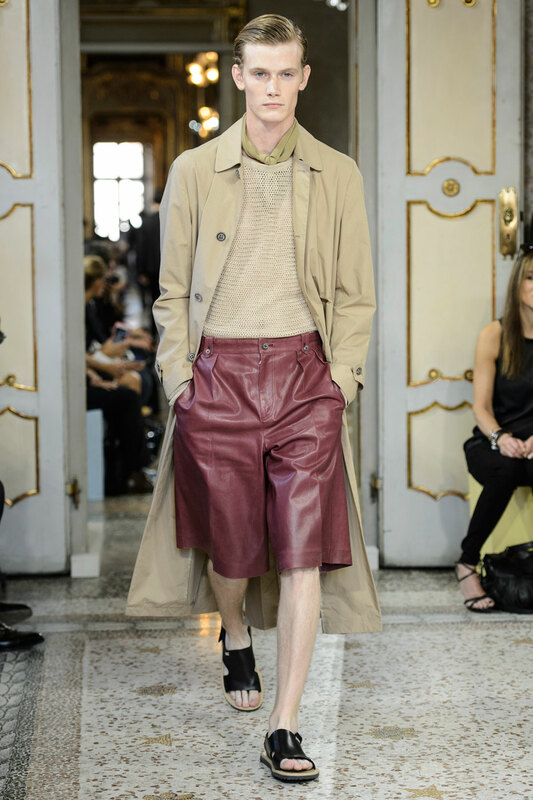 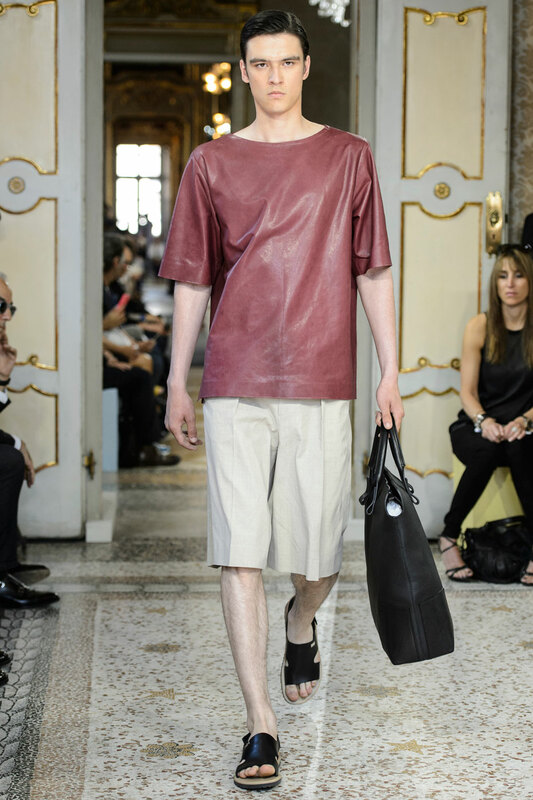 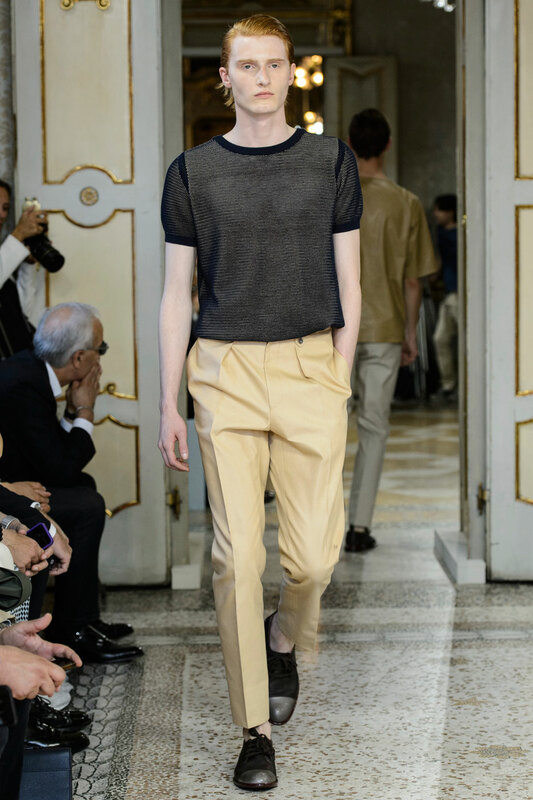 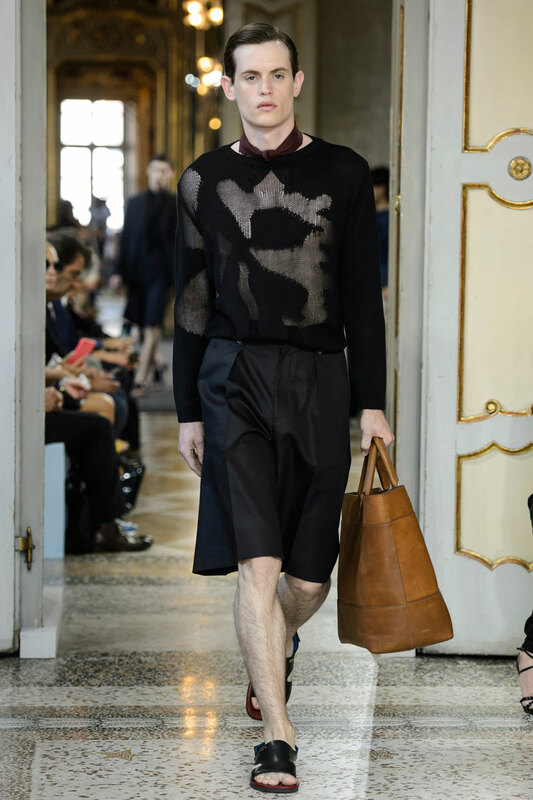 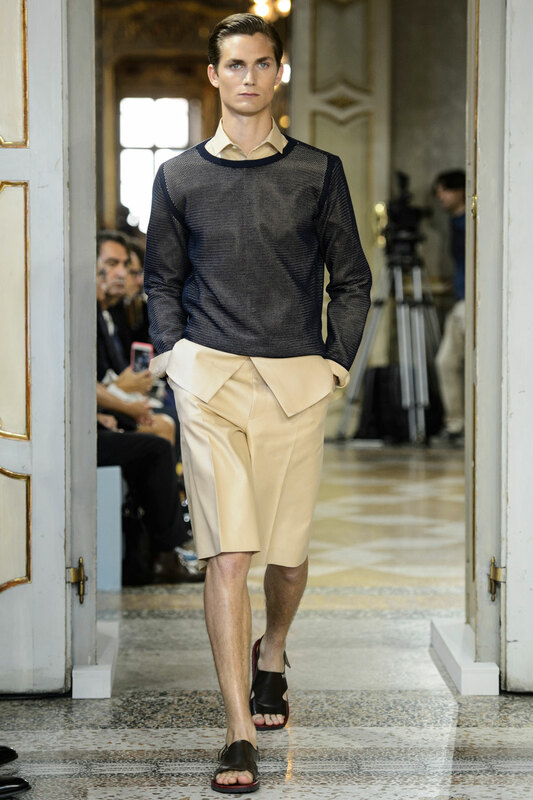 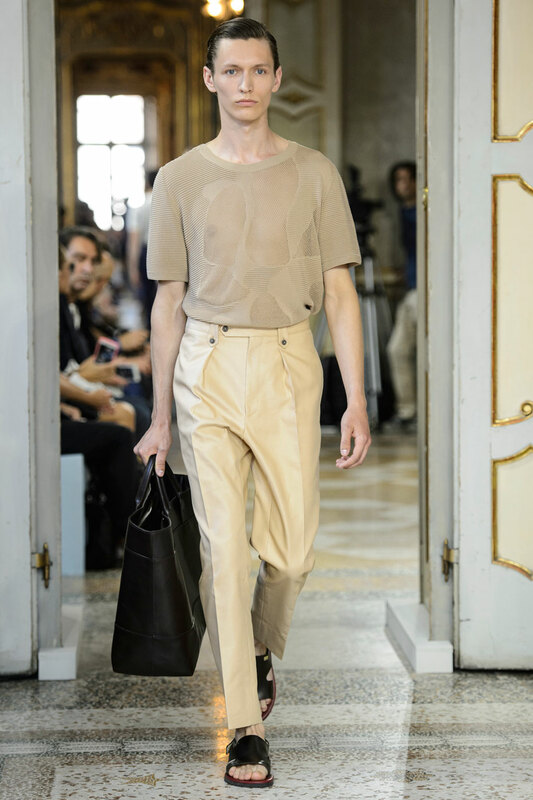 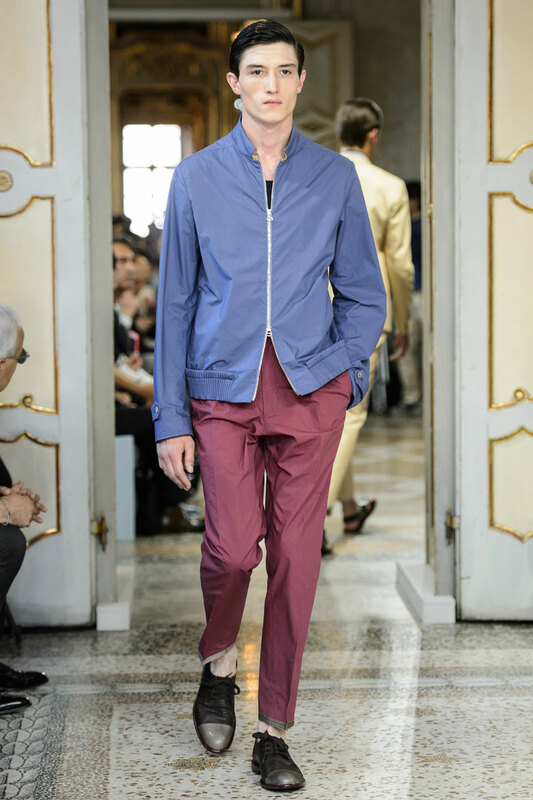 Corneliani’s sartorial excellence is showcased through luxurious fabrics such as honey yellow leather bombers , chocolate brown leather sandals and ruby red board shorts that emulate luxury. 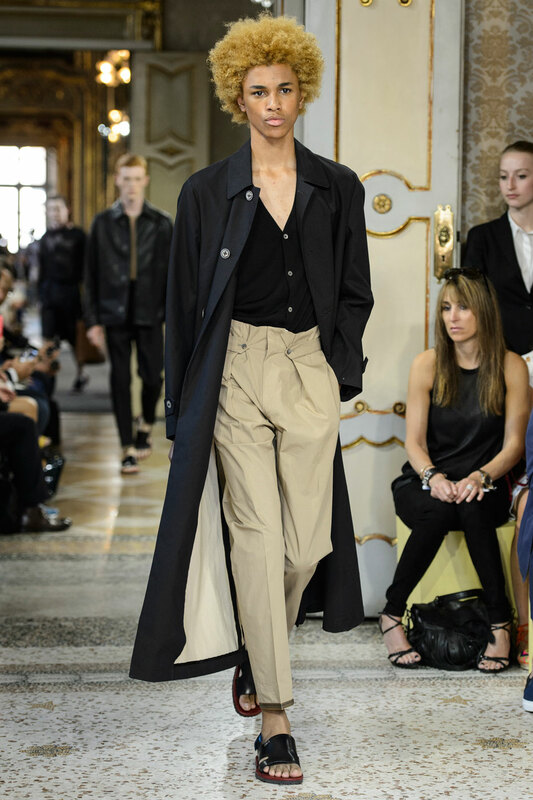 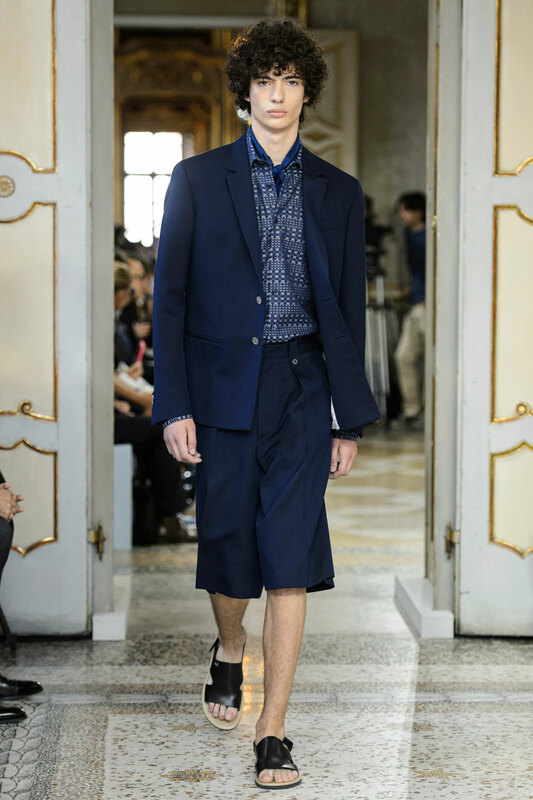 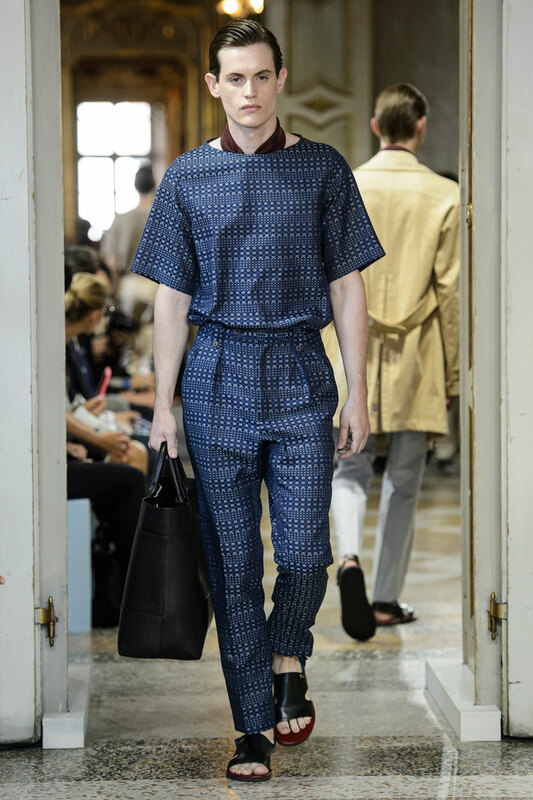 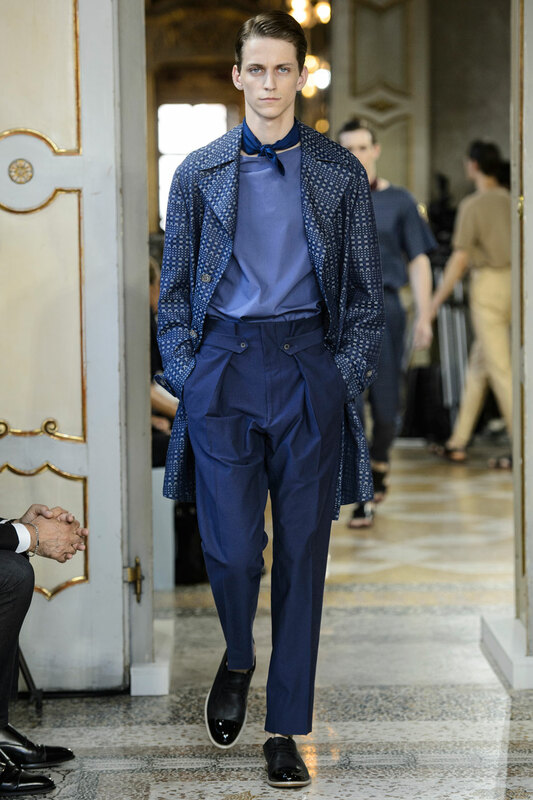 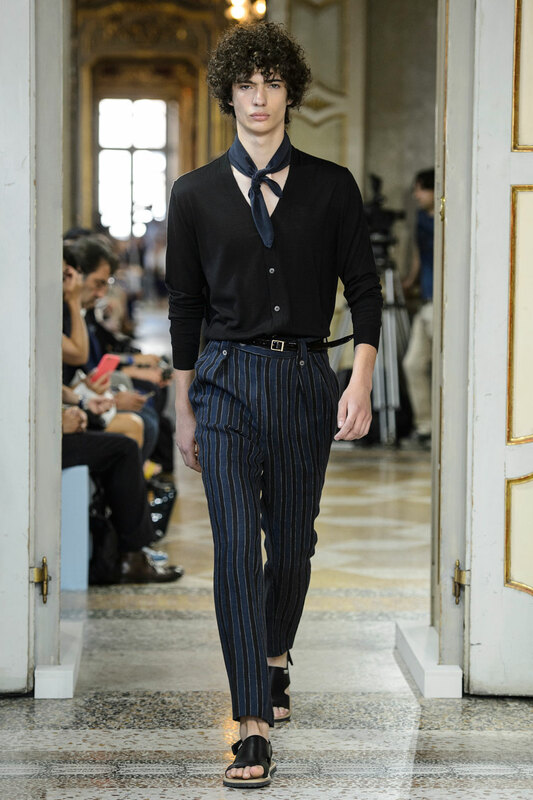 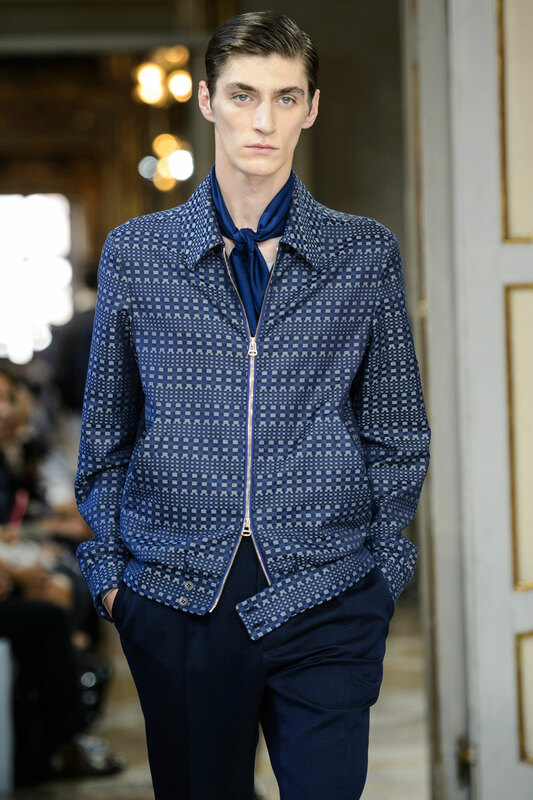 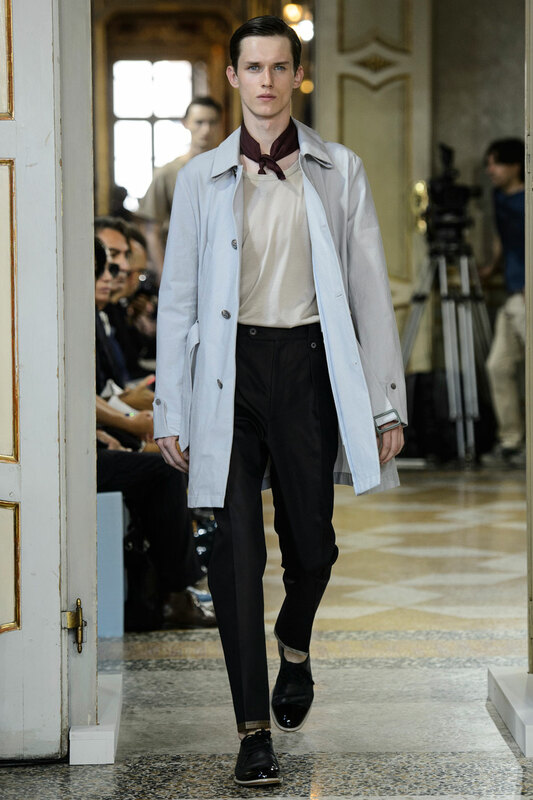 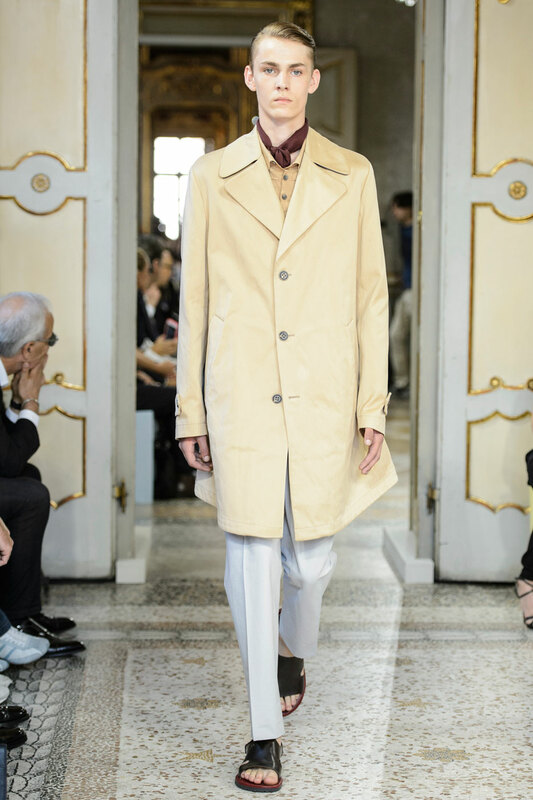 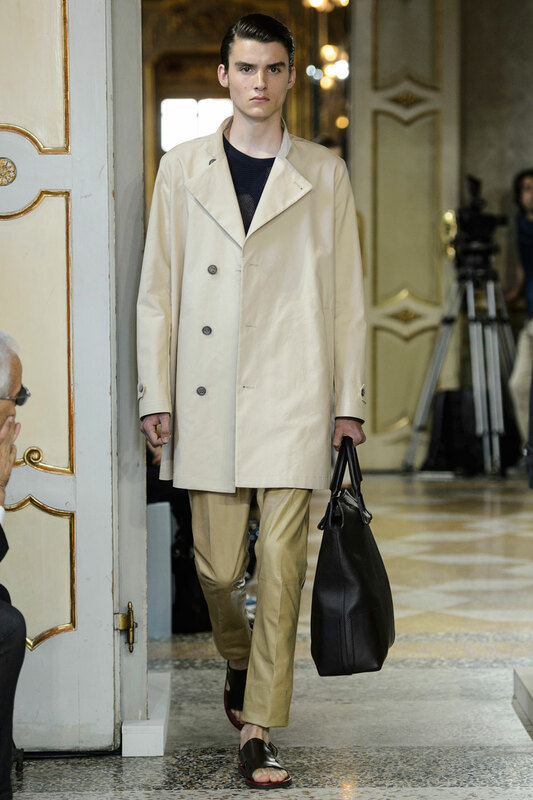 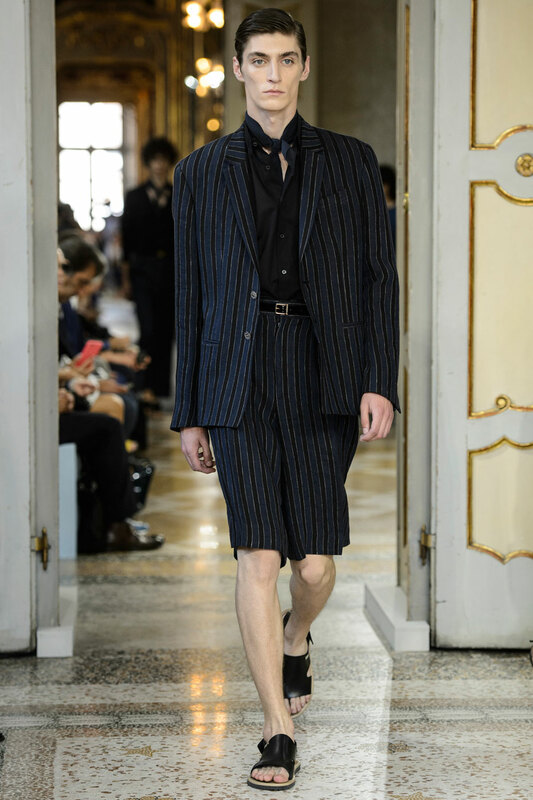 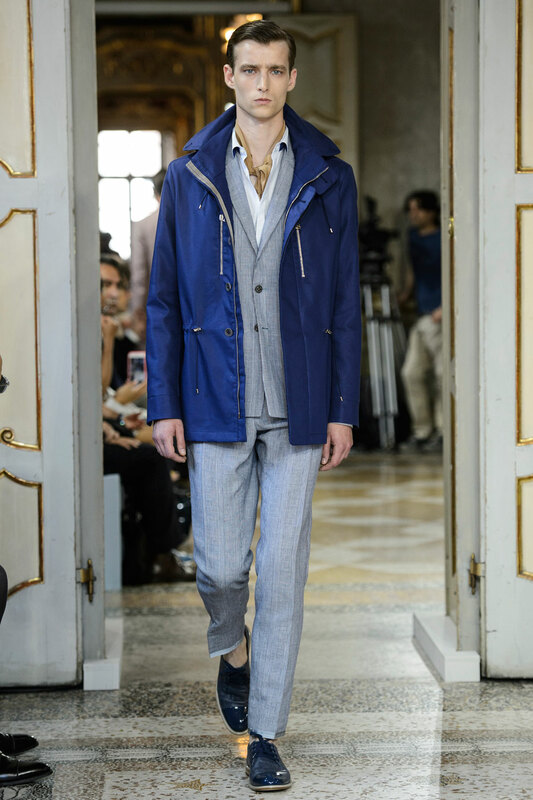 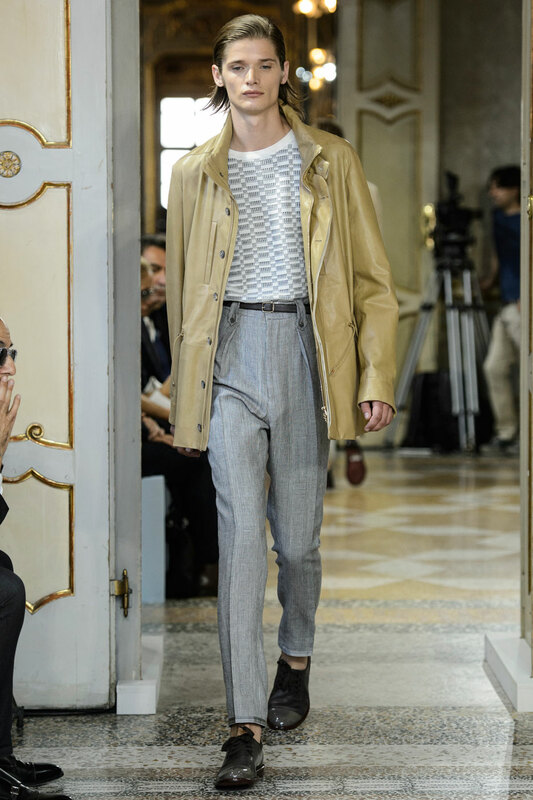 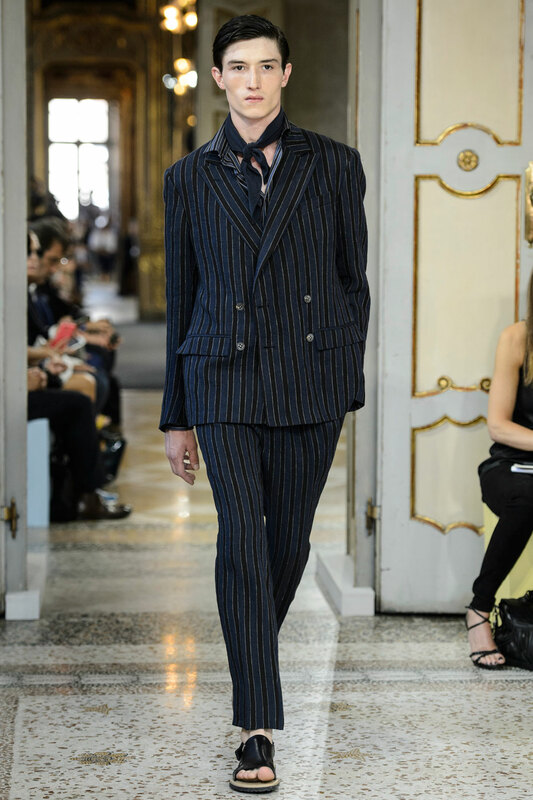 Corneliani’s oozes old school glamour with thigh skimming navy blue duster coats accentuated by subtle printed navy suits. 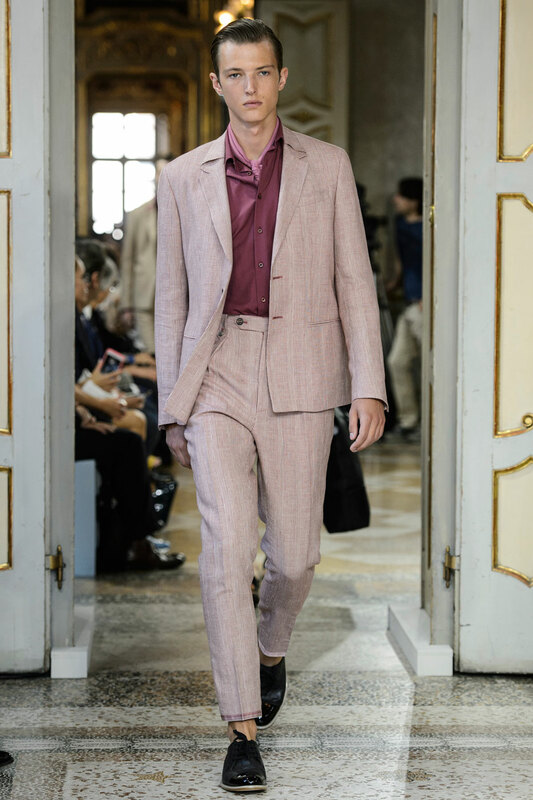 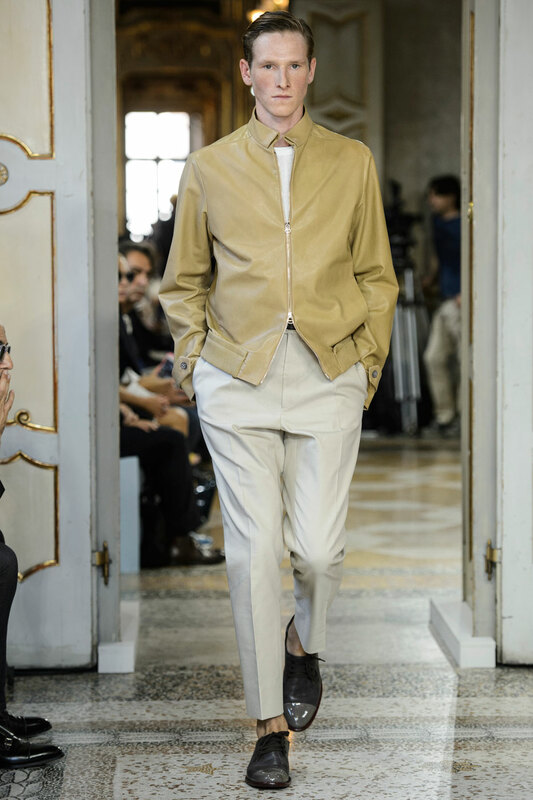 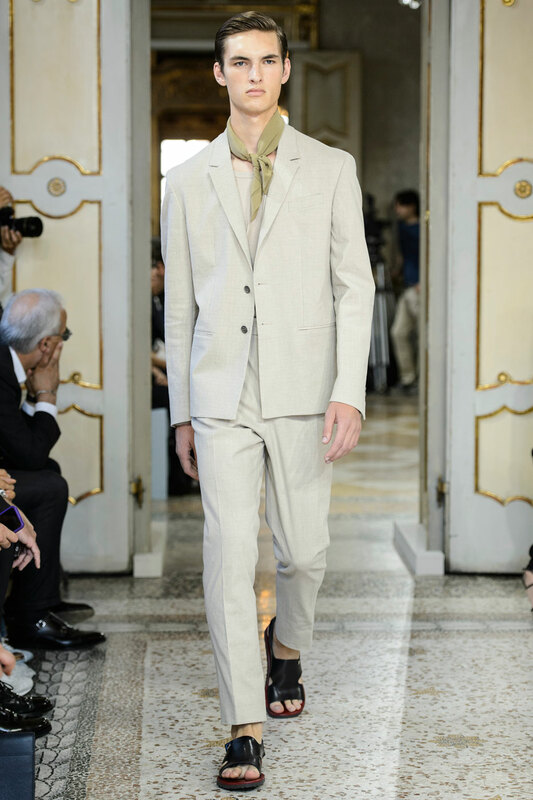 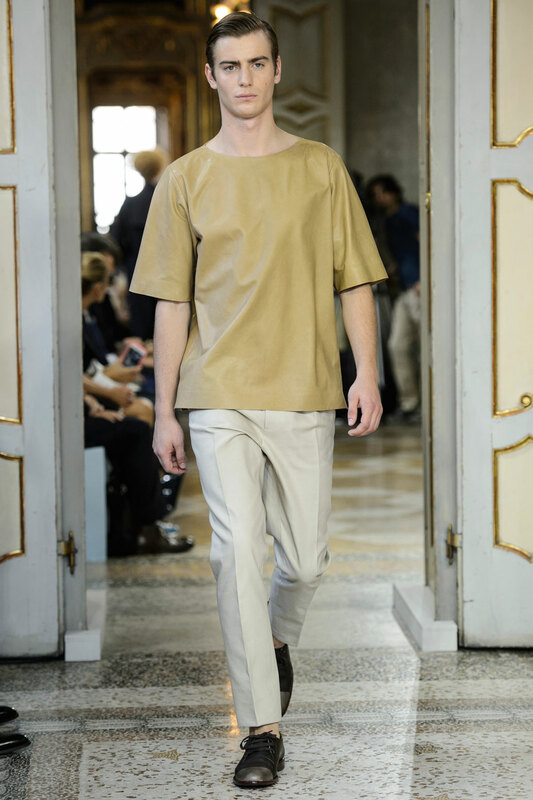 Cunningly the luxurious brand blurs the boundary between formal and informal through tapered suits with casual leather sandals. 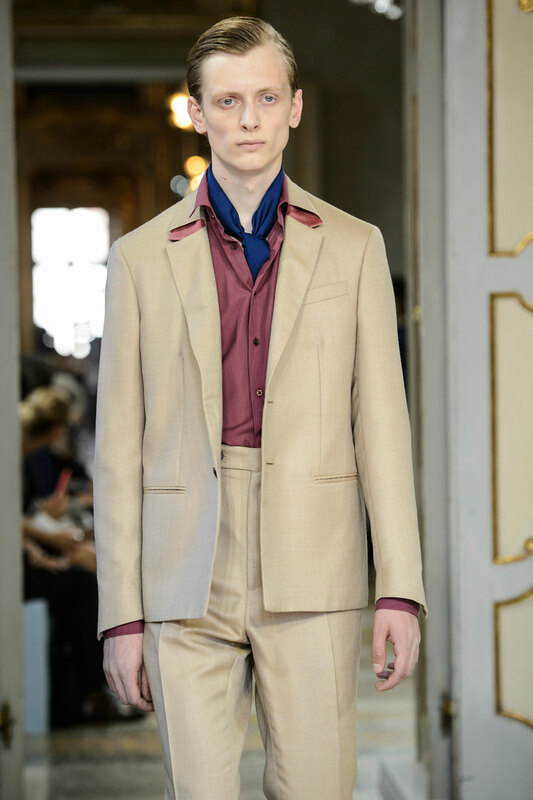 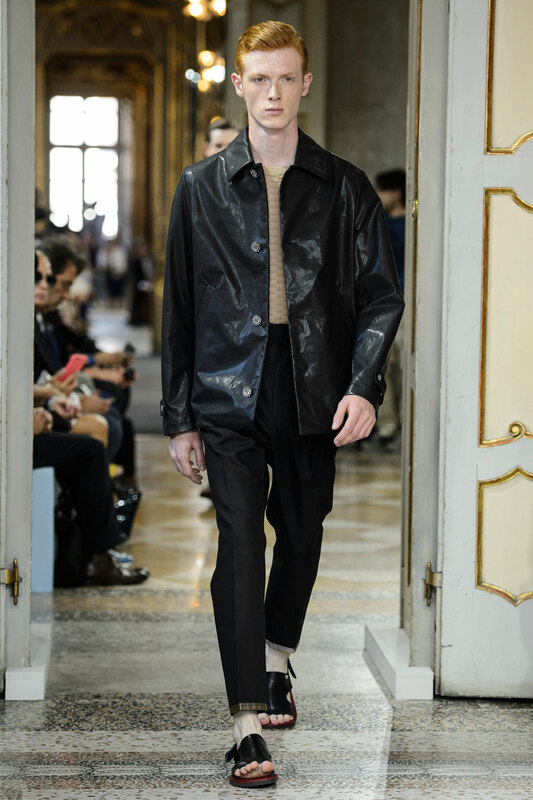 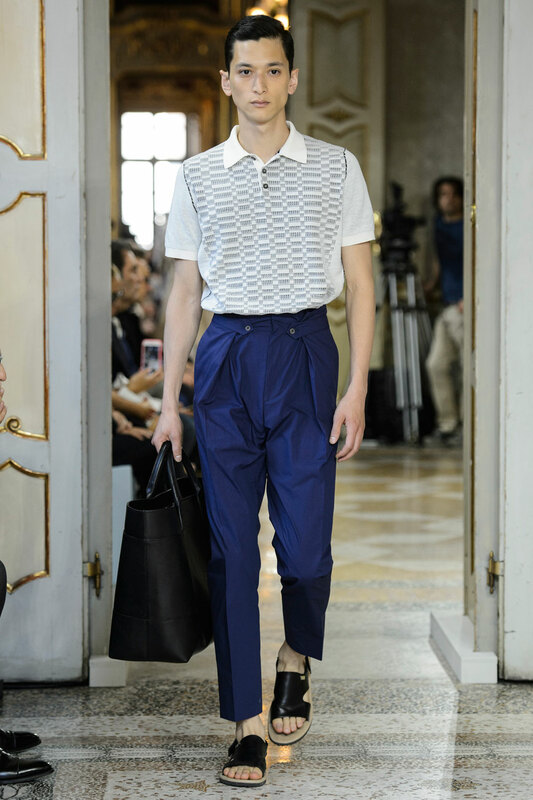 The binary between informal and formal luxury wear is a step towards enlightenment for menswear and we cannot wait to see what’s next.